Hello everyone from last year. Thanks to all of you who shopped with us on Signal Mountain. This year, we are going to be set up at Lone Oak Community Center on lots 85, 86 & 87 in the center of the front yard. Lone oak is located at Signal Mountain, TN. We sell men's blue jeans, military pants, boots, jackets and surplus, and many more things that men want or need for work. We have about 2,500 pairs of jeans from size 28 to 68 and about 1,000 pair of camouflage pants to choose from. 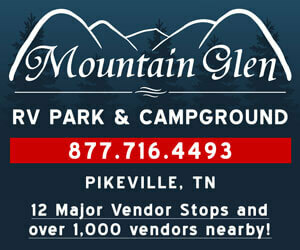 It was nice to meet many of you last year on Signal mountain and we hope to meet many more this year. We will be setting up late Wednesday afternoon and open for business through Saturday evening. We may stay for Sunday, but haven't decided yet. Come out and see us.